The 34,000 SF Pappajohn Higher Education Center is a collaborative effort of seven Iowa universities. 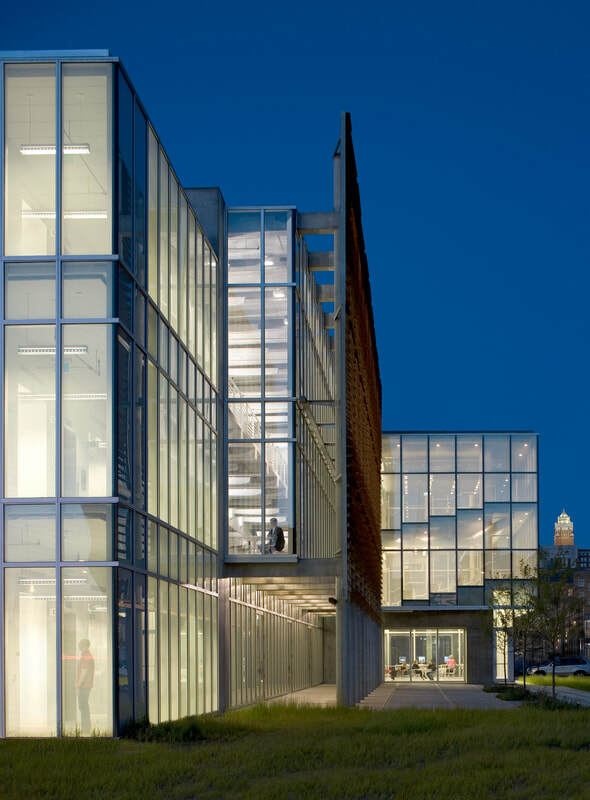 This building serves as a hub for students to take courses from a variety of institutions without leaving Des Moines. 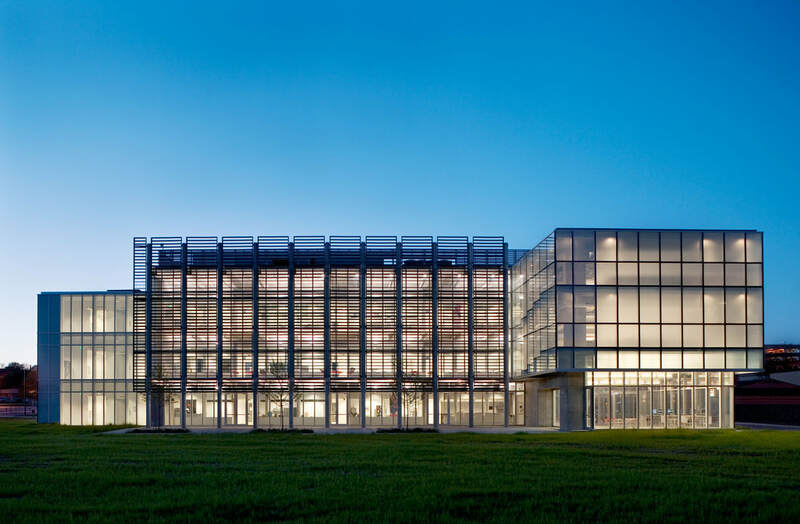 In order to meet the energy code for this glass, AWS engineered, furnished and installed a three-element insulated glazing system featuring two, one-inch air spaces and a suspended film within. 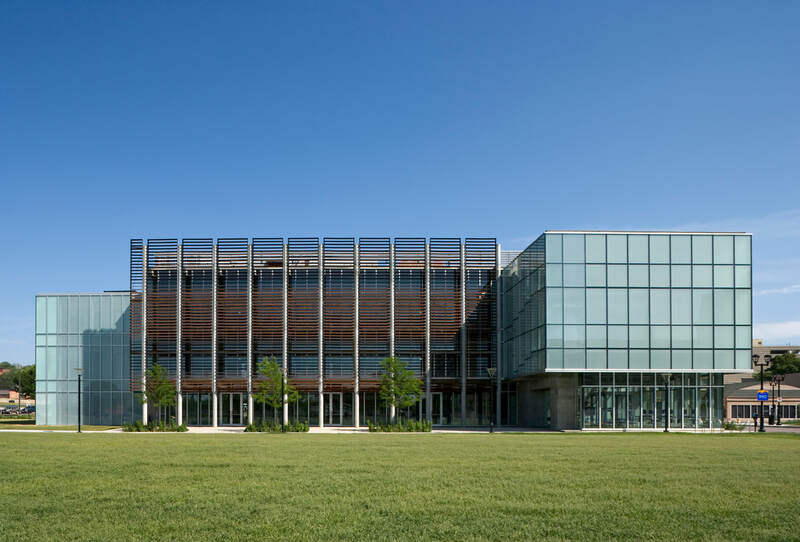 AWS engineered the unitized, Canadian pressure equalized rain screen envelope which alternates translucent, fritted and clear glass in order to achieve the necessary shading and desired aesthetic.